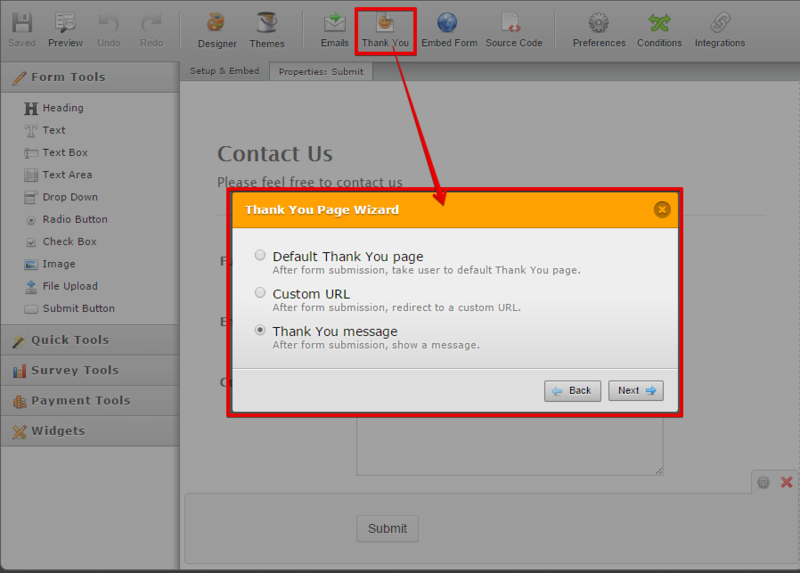 Setting a custom URL Thank You page after form submissions. 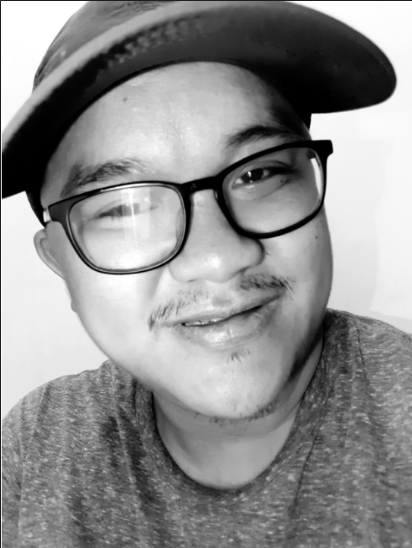 Hi there, I have been looking at using JotForms for my project and want to embed the code in a native web app (iPad/iP6). Would really appreciate your view here. I embed the form code and fill out the form and since the form is in HTML within the native app, it is not branching out to HTML5. However, when I hit submit, the email is sent correctly, but the landing page is navigation-less. So if I go to the app menu and click on the form, it just goes straight to the static jotForm post-submit landing page. 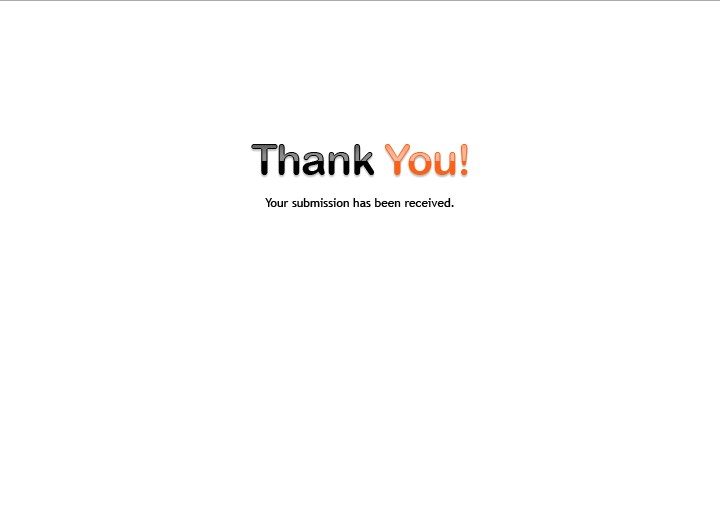 My preference is simply to show a message under the submit button saying something like "Form submitted successfully on <date/time>." without redirecting or clearing any data. I believe you are referring to the Thank-You message page when you said landing page, is that correct? 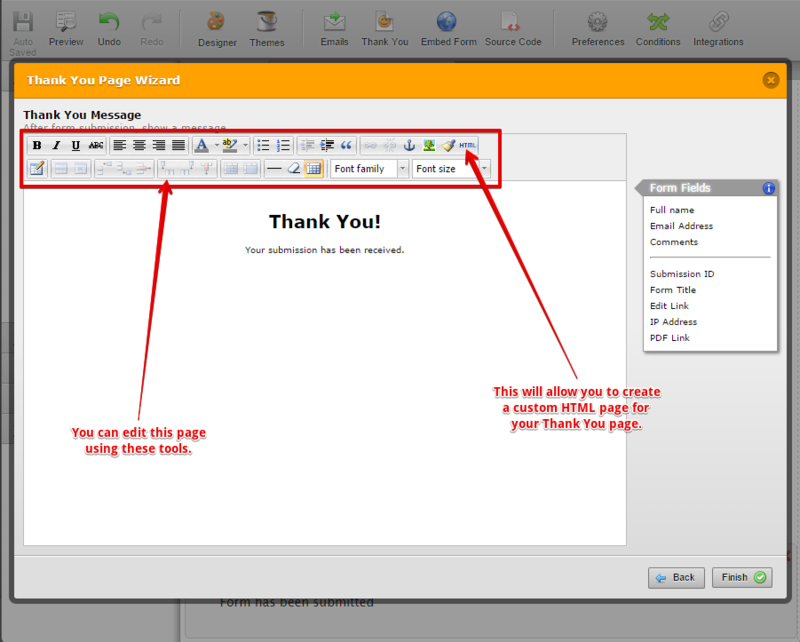 There are actually ways on how you can customize your Thank-You message. Note: It can be the same Form URL so the user will be redirected to the same form again. Or it can be a different form but has the same fields, but will have a text that says "Form submitted successfully" and then the date using the Date field that's always set to current date. But this form will only be loaded if the submission came from the initial form. 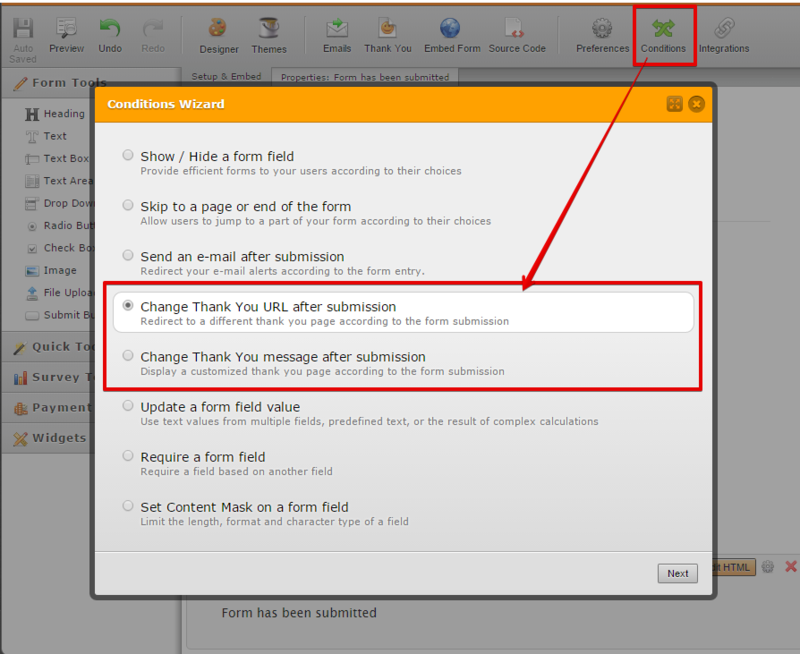 You may also put conditions to where form submitters are going redirected base on their answers. Let us know if you have further questions or there are anything that's unclear to you. Thank you. Thanks for this. Yes, that's right. I made the change suggested above and it now redirects back to a fresh form with no data. Is there a way to preserve the data that was submitted though?